Readers, it’s been such a busy week this week. I’ve done two reviews and had dinner out this week. Needless to say, we are having a quiet weekend! On Wednesday night I was invited to the opening of Revolucion de Cuba alongside a number of other Glasgow bloggers. I went with Kaitlin from Cocktails & Fairytales, however, it was as really friendly crowd and we soon got to know people. 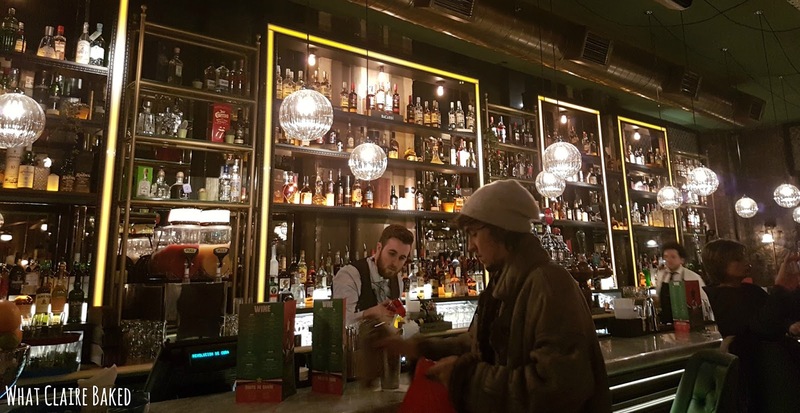 Revolucion de Cuba is a Cuban rum and cocktail bar with tapas served until 10pm. It’s even got a stage AND a coffee bar tucked away in the back corner. The team behind Revolution Vodka Bars are the creators of this new concept. 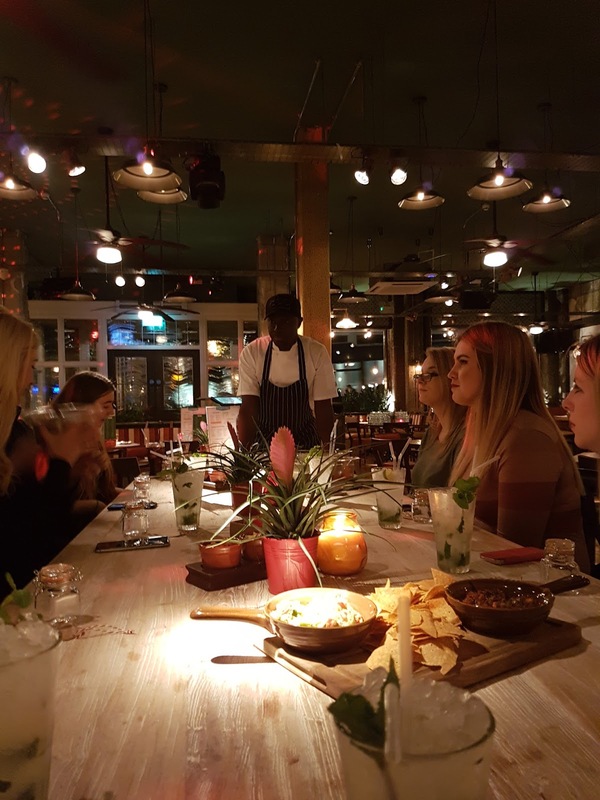 We were greeted with mojitos on arrival then shortly were whisked over to a group table to learn about making pulled pork and infusing it with Cuban spices. Afterwards, we made our own spice mixes and packaged them into kilner jars as a take home from the event. 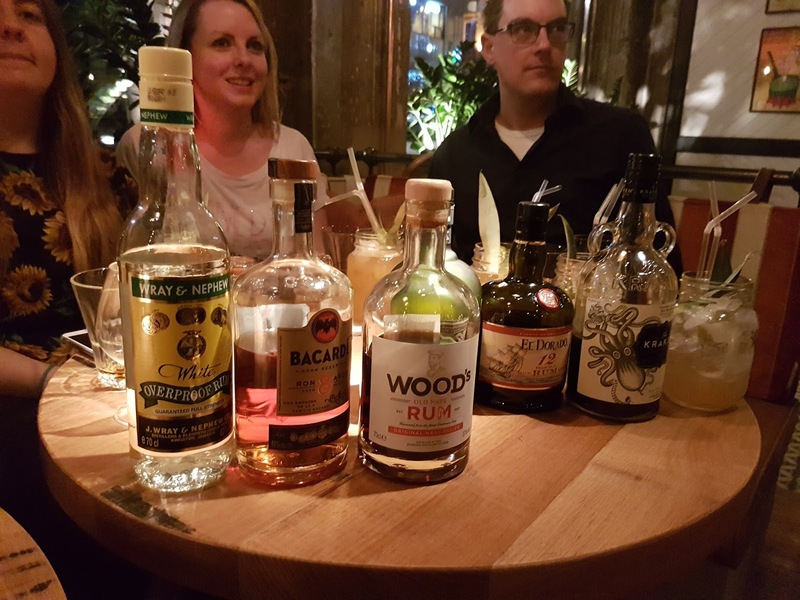 After our spice session, we were treated to rum tasting…. 5 dark rums and a white rum to finish (although confession, I was too chicken to try the last one!) We were brought rum cocktails to the table too… getting us into the Cuban vibe as a band played in the background. 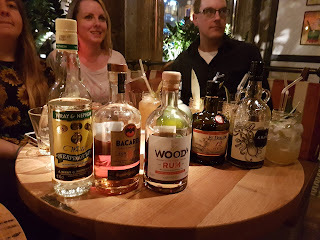 Rum tasting with the gang! 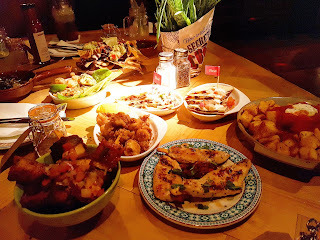 Next, it was on to tapas and chat, where we were brought a range of dishes – from calamari to patatas bravas, prawns, chicken skewers and to finish… churros with either salted caramel or chocolate sauce. Delicious. 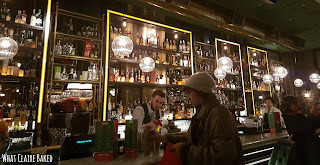 Turns out the venue used to be a big opticians and the design team have done an amazing job turning it into a bar with a relaxed Cuban vibe. Oh and the mixologists are amazing. 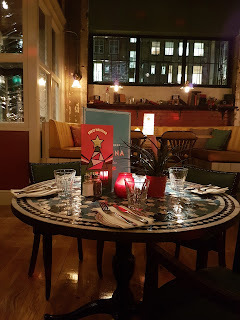 We were lucky enough to sample some of the Christmas cocktail menu including a berry sharing number that came in a kilner and was big enough for three of us! You’ll find Revolucion de Cuba on Renfield Street in Glasgow City. It’s a perfect place to get your girls night out started – meet the girls, grab a booth and get the cocktails flowing. To find out more visit Revolucion de Cuba’s website, or check out their Twitter, Instagram and Facebook. Disclaimer: I was invited to the launch event to enjoy complimentary food and beverages. Any opinions expressed are my own.